Today, when you order "Copag Neo Series Playing Cards (Connect)", you'll instantly be emailed a Penguin Magic gift certificate. You can spend it on anything you like at Penguin, just like cash. Just complete your order as normal, and within seconds you'll get an email with your gift certificate. COPAG 310 was developed closely with professional players, magicians, and cardistry experts for over two years. The exclusive TRUE LINEN B9 FINISH associated with the premium playing card stock ensures supreme handling, longevity, and ultimate flourishing. This finish is the result of intense research and development and more than 300 prototypes, tried and tested. The well-constructed balance between the stock, coating, linen finish and cutting gives the cards a soft but springy nature, enabling smooth handling. 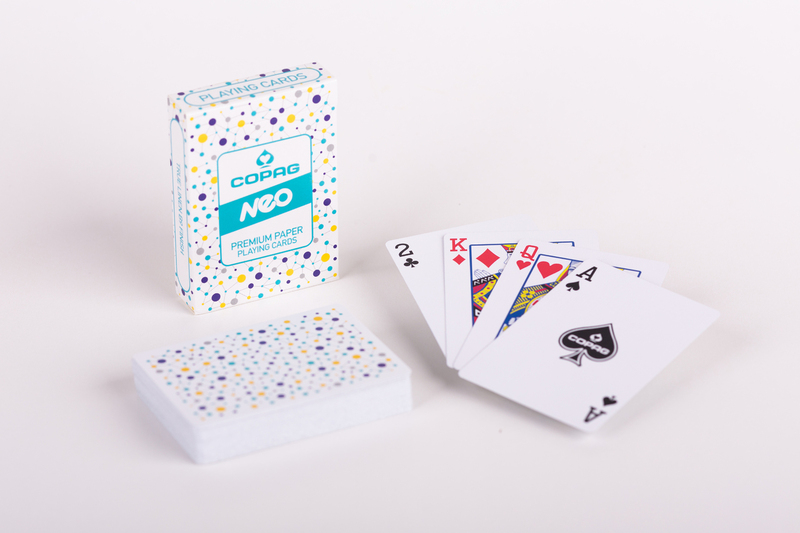 This COPAG Neo Series Connect deck includes 52 cards, 4 Jokers, poker size - approx 2.5 by 3.5 inches (W x H).